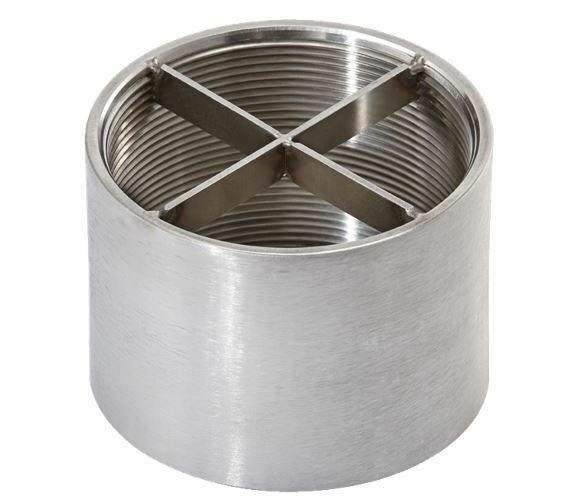 Stainless Steel 3" BSP Female threaded safety grid for attaching to the OASE AquaMax Eco Titanium 50000 pump inlet when the pump is used in a flooded sump chamber. Due to the physical size of the open inlet, the safety grid should be used to ensure that large obstacles or body parts cannot pass through into the rotating impeller. The Threaded safety grid can be simply screwed to the 3" BSP Male threaded pump inlet.